A three-show run might not sound like much of a challenge, but things are different when it’s Stephen Sondheim’s “Follies” on stage. For one, the musical is, in a word, huge, with the Broadway production calling for a cast of more than 30. With settings like an upscale reunion and a Broadway-worthy show within a show, the musical also calls for a number of elaborate costumes. The rights to the show are also expensive, and because “Follies” was only orchestrated once for the original Broadway production, the show calls for a full orchestra. As such, “Follies” is not often produced, but even still, director Jake Schaefer and music director Henry McNulty wanted to be daring, both for the performers and audience members. “It’s a little bit of supporting the fact that so many people in the community have wanted to be in this show for a long time, and also the fact that it’s important for us to step out and make big gestures from time to time,” Schaefer said. 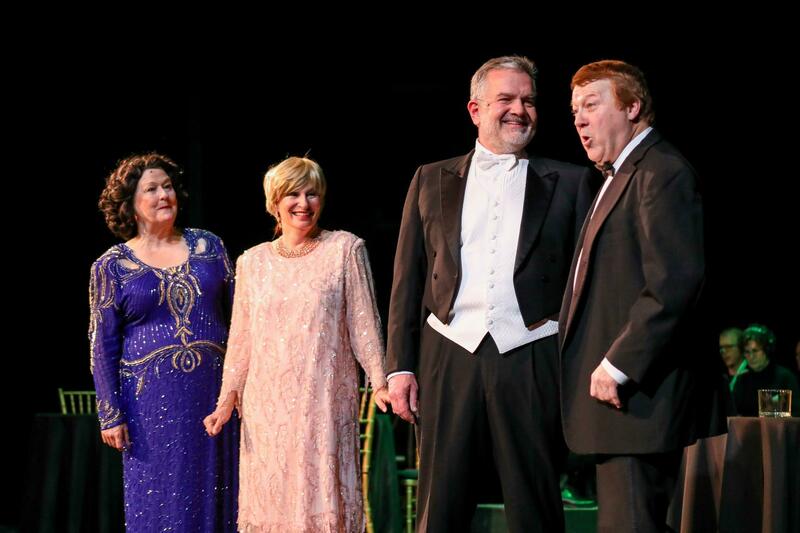 Spokane Civic Theatre’s staged concert production of “Follies” runs Friday through Sunday. “Follies,” which features a book by James Goldman, kicks off with actors reuniting at the once brilliant, now soon-to-be-demolished Weismann Theatre to honor the theater’s “Follies” shows of yesteryear. As the evening goes on, the two lead couple’s – Sally Durant Plummer (Katherine Lench Meyering) and Buddy Plummer (Michael Hynes) and Phyllis Rogers Stone (Robbi Starnegg) and Ben Stone (Darryl Gurecky) – begin to reflect on their early years as performers and take stock of how their lives and relationships with one another have changed over the years. To highlight the contrast, the older actors are joined by the ghosts of their younger selves, played by, in her Civic debut, Aubree Peterson (Sally), Elizabeth Martin (Phyllis), Jonah Taylor (Ben) and Nicholas Griep (Buddy). When casting the show, Schaefer found a quartet of actors just as seasoned as the performers they portray. Schaefer said there was no doubt Lench Meyering, who is new to the Civic stage but has been performing for 30 years, was Sally. He saw Starnegg, who starred in “Hello, Dolly!” last season and has been friends with Lench Meyering since they were 18, as the perfect contrast. 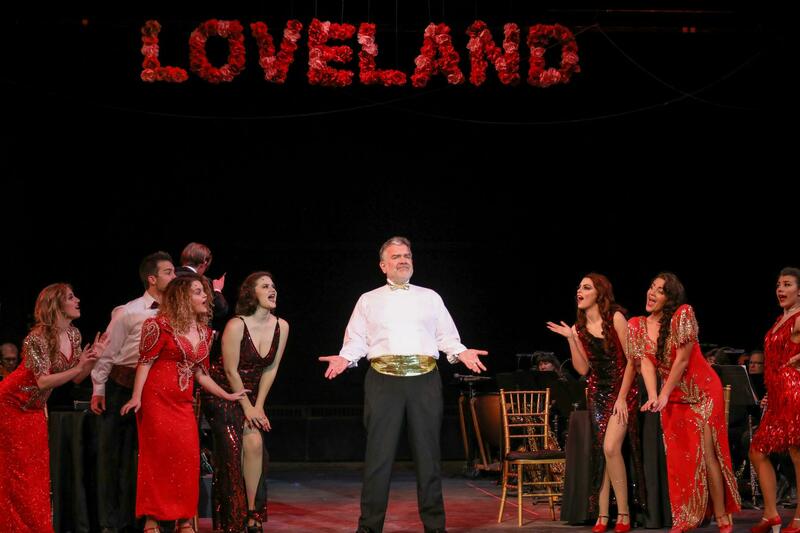 Gurecky was a no-brainer for the role of Ben because “he sings like an angel,” and there’s not a better Buddy than Hynes, Schaefer said, because he has strong acting chops and a vaudevillian quality that fits with his character’s performance in “Loveland,” the show within the show. “It was undeniable after seeing them that they were the cast,” Schaefer said. But he’s equally excited about a trio of what he calls legacy artists, performers who have been with Civic for decades. Schaefer said Melody Deatherage’s stage presence makes it nearly impossible to not watch her as Carlotta Campion, and that Kathie Doyle-Lipe (Hattie Walker) is a consummate performer who can read, dance and sing anything. Schaefer and McNulty were especially proud to cast Jean Hardie (Solange LaFitte) because they started at Civic as children in her summer camp. Schaefer is also looking forward to showcasing the younger performers, calling Marlee Andrews (ensemble) a beautiful dancer; Taylor perfect for the role of young Ben; Peterson a really honest actor; Martin a force to be reckoned with; Griep an amazing performer; and giving a special shoutout to new-to-Civic performers Ashlyn Williams and Lysbeth Neel, both members of the ensemble. “If you want to sit back and listen to some incredible music, this is it,” he said. Civic’s production of “Follies” will also feature a 24-member orchestra onstage. 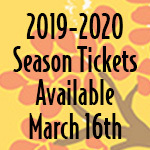 Schaefer was initially nervous about how “Follies,” one of four special performances this season, would be received, but he and McNulty felt vindicated in their decision to be bold and daring after hearing the audience gasp with excitement during the season reveal event in March. “It’s really important to take chances when the chances are in line with the purpose of the community and this is one of those chances I believe is worth taking,” Schaefer said.